24h matte foundation - does it work? I gave it a go! I don't really get very excited about foundations, because being an oily face gal I've used to dealing with foundations that are just all about that dewy look even though on the product it swears to give you a matte look for million hours. 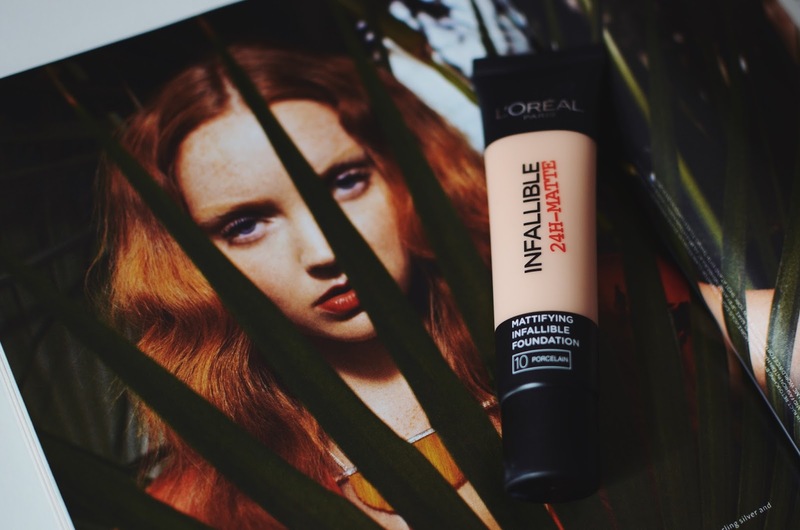 So when L`oreal brough this foundation out, I was very sceptical about it. I waited for the reviews to roll in on youtube and other blogs before I went and got it. Now it doesn't really stay matte for 24h as it promises, but it's one of the best I have tried so far. I've tested it for over a month - also on the hottest day of the year and as well as on a full day at work and then going out (about 15h) without retouching it. Both times it passed the test only half way. I think it's an amazing day (8-9h) foundation, when the weather is more milder. With that being said, it actually could be the drugstore dupe for the MAC's Pro Longwear Waterproof foundation. Though at the start I really struggled with the application. I had read and seen so many great reviews and whenever I tried it on it just went patchy on my face, until I changed my moisturizer (I started using the new Nivea one) and stopped using my base. Because apparently the moisturizer with the high SPF and the base that I was used to using was too much when I put on this foundation. Now after the SPF I just put my normal Nivea moisturizer over. Crazy moisturizing, right? But it does help to apply it better. In winter though, I think I'll just stick with just the Nivea moisturizer.The packaging is very easy to use - you control how much of the product you get out of the tube, and you can also see how much of the product is left. The consistency of the foundation is in the middle between runny and thick. I haven't tried applying it with a brush, but with my beauty blender it applies beautifully. I'm pretty pale, so the lightest shade 10 Porcelain is the perfect fit for me. Unfortanately after going to a couple of different stores here in Latvia, I found only four shades available, with the Vanilla being the lightest one. And it always gets to me - living in a location where the sun is not a constant visitor and most of us are quite pale - we never get the lightest shades from the range in the stores. I always have to get mine from UK, either through friends or the good oldschool way - ordering online. Quite frustrating. So if you are as pale as me, you may want to get it from ASOS. 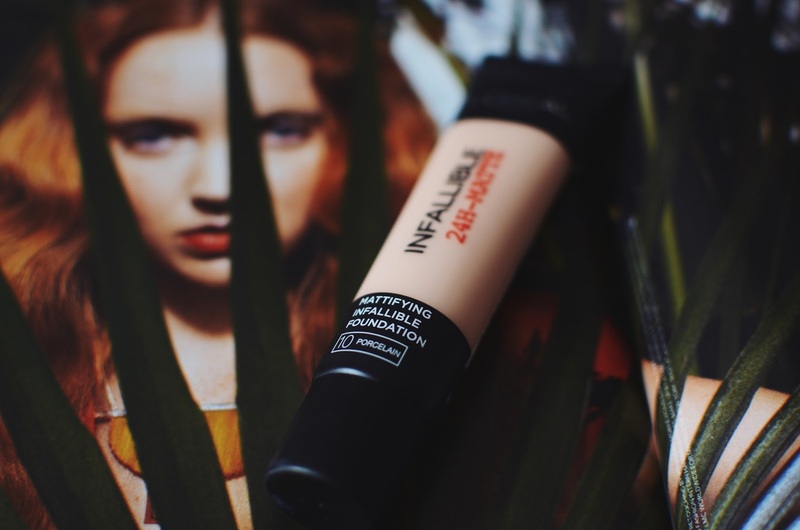 10 comments on "THE EVERYDAY MATTE FOUNDATION THAT IS WORTH THE TRY"
This is great! Thanks for the review. Kā tev iet ar tonālā slāņošanos? Slāņojas? Ko tu liec apakšā zem tā? Nopirku tikai pateicoties Tev, un pagaidām esmu negaidīti apmierināta. Man patīk cik viegli ir izveidot vienmērīgu klājumu un, ka pretēji visiem blogu review solījumiem, tas neķeras klāt katram ādas gabaliņam, kas pēkšņi parādījies. Vienīgi, man veidojas baigās rievas smiešanās līnijās dienas beigās, tāpēc vien nesanāk novērtēt cik ilgi it stays matte. 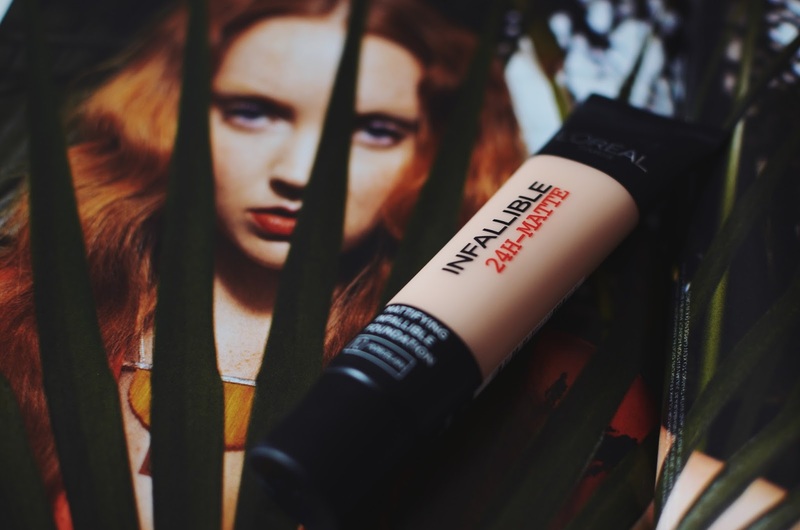 I have never this one BUT so many have been telling me that this foundation is one of the best!